When you make a planned giving contribution to the Printmaking Center of New jersey you help to ensure its future and carry your support forward in a special way. Cash contributions are always appreciated, but planned giving provides a creative option for you to benefit PCNJ and have your presence felt and appreciated by current and future artists. 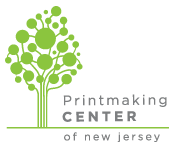 You can talk with your financial advisor and attorney about how to include the Printmaking Center of New Jersey in your legacy plans. One easy approach is a simple bequest. You can request the sample bequest provisions template and review it with your attorney. Another simple approach is to include PCNJ as a beneficiary of your IRA, retirement plan, or life insurance policy. This only needs you to fill out a beneficiary designation form from your plan provider or administrator. If you would like to discuss planned giving ideas please call or email the Printmaking Center’s Director at 908.725.2110 director@printnj.org .